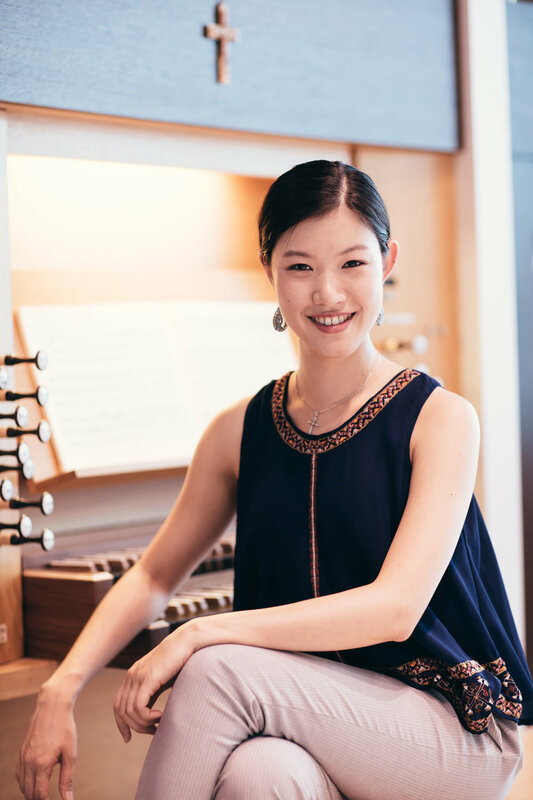 Christine Liu is an a cappella musician, as well as a church organist in Taiwan, focusing on composing, arranging, singing, playing, teaching, and promoting these art forms, bridging the styles between East and West. She has been singing and playing the piano since childhood in school and church, and started composing at the age of 14. A year later, she moved to the United States to study music composition at the Walnut Hill School in Boston, where she sang contemporary a cappella for the first time. Afterwards, she was accepted to Northwestern University in Chicago to continue her composition study. During the university years, Christine founded the first East-Asian a cappella group on campus The Treblemakers and began to develop her arranging skills. In 2006, she obtained the Bachelor degree with the winning orchestral composition “The Legend of Brahmaputra”. After graduating she headed to Vienna, Austria to study church organ playing at the Kirchenmusik Konservatorium Wien (Church Music Conservatory of Vienna). During the Vienna years, she was the principle organist of the English Speaking Catholic Community at the Votive Church. She also participated in many a cappella festivals in Europe and studied with well-known a cappella teachers. In 2009, she moved back to her homeland Taiwan, and founded Voco Novo a cappella group. She is currently the Artistic Director of Voco Novo, Director of International Affairs at Vocal Asia, principle organist and organ teacher at the Holy Family Catholic Church, the conductor of Tabor Youth Choir, and a freelance a cappella teacher. Building on her experience of writing a cappella music since 2004, Christine’s works have been performed in many countries, including the U.S.A., Austria, Germany, Sweden, Denmark, Finland, Japan, Korea, Hong Kong, China, as well as many venues and occasions in Taiwan, including the National Concert Hall, 2012 Golden Horse Award Ceremony, 2014 Golden Melody Award Ceremony, 2016 National Day Celebration, and many live concerts. Christine participated in the first The Real Group Festival in 2008, and again in 2012, and her involvement with The Real Group continued when Vocal Asia invited them to teach in the 2011 Vocal Asia Festival. In Taiwan she frequently leads workshops on ‘a cappella 101’, arranging a cappella, circle singing, rehearsal method, and coaching sessions. She also enjoys encouraging arrangers, pointing out that arranging is a way of telling a story through music. She comments that frequently groups tend to sing with a very narrow intensity level, so she likes to help them broaden their intensity range which then makes the song sound more interesting.